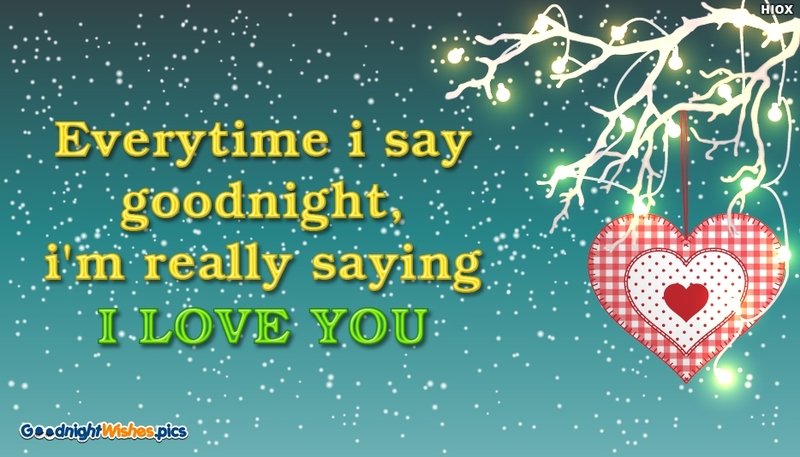 A romantic good night picture to send to your lovable person. Say a goodnight along with a love message. Here is the card which portrays a goodnight wish "Everytime I Say Goodnight, I'm Really Saying I Love You" with the background of a heart and a million stars. This e-card beautifully expresses the feeling that everytime you say a goodnight wish your heart is full of millions of twinkling stars as it is like you are saying "I Love You". Share this card with your love and make the evening romantic.